DEEP CONDITIONING: The heat systematically allows ingredients to penetrate the hair follicles more efficiently, leaving your hair snug and soft. It seals in treatments and relaxes the hair follicles for effective diffusion of nutrients. The heat along with oil and other therapeutic ingredients are activated by heat and are readily absorbed by hair. NON ELECTRIC: There is no need for electrical outlets or batteries! The cap is cordless and warms up by simply placing it into the microwave, and heating it up to the desired temperature. (Always warm not hot)! BUDGET FRIENDLY: There is no need to purchase expensive commercial brands to pamper yourself. 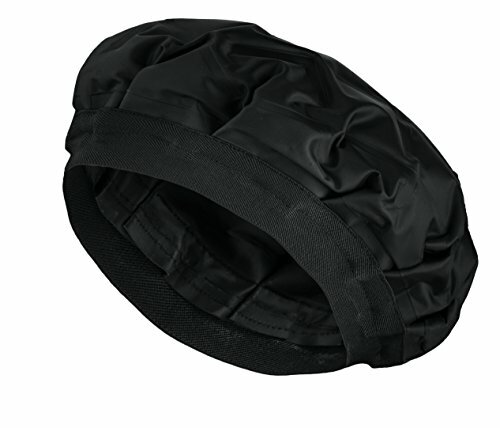 Our heat conditioning cap is fully functional and provides the nurturing efficiency your hair deserves. EASY TO USE: Before applying the cap to your conditioned hair, insert the heated cap into the microwave for about 1min. Increase by a few seconds if it's not warm enough then place the heated cap onto the head for your desired time.